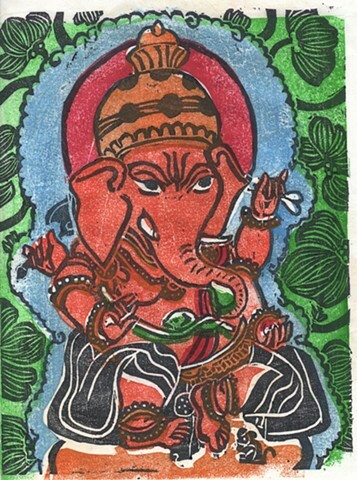 I cut 5 woodblocks for this Ganesha, a separate block for each color. I hand pull each Moku Hanga print. There are slight variations in color.